Who doesn’t love crockpots? The person who invented these deserves an award! Using a slow-cooker has become my Sunday routine. I can put a meal in and it’s ready when we get home from church. This recipe for Korean Beef is a winner. My family loves Asian inspired foods and I love the simplicity of throwing everything in one pot and forgetting it. Place the beef in the crock pot. 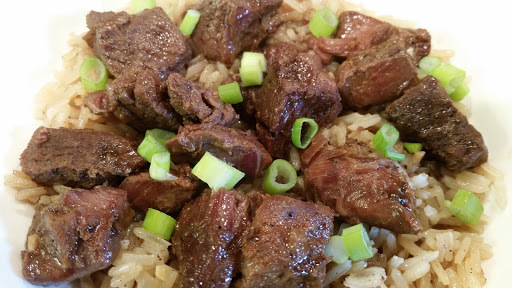 In a medium bowl, mix the next 10 ingredients and pour over the beef. Combine to coat the meat well. Cook on low for 6-8 hours or high for 3-4 hours, until the beef is fork tender. Combine the corn starch and water in a small bowl and add to the crock pot. Continue to cook on high for approximately 30 minutes or until the sauce is thickened.